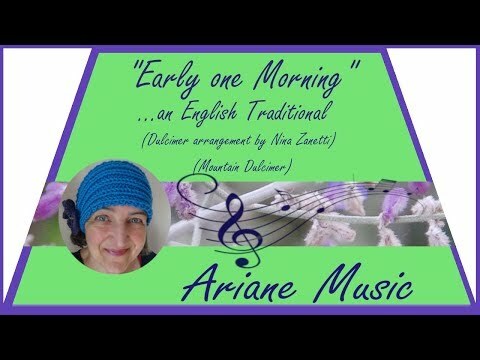 "Early One Morning" is an English folk song with lyrics first found in publications as far back as 1787. I recorded this well known melody on the basis of the arrangement of Nina Zanetti from hers and Beth Lassi's beautiful book "Tunes for Two or More", Volume 3. To place upon thy brow. What a sweet tune and you play it beautifully! Thank you very much, Harmonybc - I am happy that you like it. Beautiful song, beautifully played ! Thank you very much, Steven, for your kind compliment! Aw...Bob - that's so kind of you! Many many thanks! Thank you very much, Val and Benjamin, for your kind comment. Not only your playing, but, your arrangements are beautiful, Ariane! Another musical masterpiece. Always such a true pleasure to listen to your art.